METRO RHYTHM has returned and is starting the season with an inaugural reading at our new location, Outpost Cafe in Clinton Hill, Brooklyn. Join us Friday, October 18TH, 8PM for the best gathering of poets anywhere in NYC. Come for the verse, stay for the vino and pints. 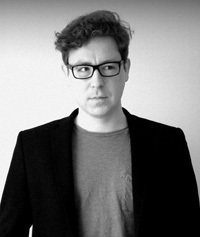 Timothy Donnelly is the author of Twenty-seven Props for a Production of Eine Lebenszeit (Grove, 2003) and The Cloud Corporation (Wave, 2010; Picador, 2011), for which he won the 2012 Kingsley Tufts Poetry Award. His poems have been widely anthologized and translated and have appeared in such periodicals as A Public Space, Fence, Harper’s, The Iowa Review, jubilat, Lana Turner, The Nation, The New Republic, The Paris Review and elsewhere. 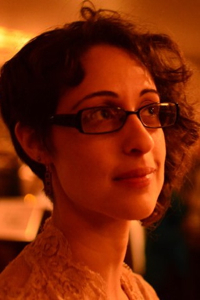 Laura Eve Engel’s work has recently appeared or is forthcoming in the Boston Review, Crazyhorse, Columbia Poetry Review, Tin House and elsewhere. She was the 2011-2012 Jay C. and Ruth Halls Poetry Fellow at the Wisconsin Institute for Creative Writing. During the summer, she is the Residential Program Director of the UVa Young Writers Workshop. Jameson Fitzpatrick lives in New York, where he is the book columnist for Next Magazine and an MFA candidate at NYU. His poems have appeared or are forthcoming in Poetry, The Awl, The American Reader, Linebreak and The Los Angeles Review, among elsewhere. Laura Romeyn was raised in La Crosse, Wisconsin. She is an MFA candidate in poetry at Columbia University and was a 2012 finalist for the AWP Intro Journal Award. Laura currently freelances as an art critic and is the Poetry Editor of Columbia: A Journal of Literature and Art. She has been mistaken for a lamb. Outpost is located at the nexus of four amazing Brooklyn neighborhoods. Clinton Hill, Prospect Heights, Bedford Stuyvesant and Crown Heights. Outpost is most easily accessible from the C or G trains at Clinton-Washington Avenues. From either station, we’re just a quick jaunt along Fulton Street. Driving to Outpost is almost as easy. Take the Manhattan Bridge and follow Flatbush Avenue for approximately a mile until you reach Fulton Street. Turn left and proceed 1.5 miles. Outpost will be on your right.